The Academy Award winning film and Emmy Award winning television series leaps onto the stage for Boston Children’s Theatre’s (BCT) Summer Studios 3 production of the acclaimed musical, "Fame, Jr." Featuring the talents of 12-year old Penny Walker of Marblehead, "Fame, Jr" will be performed in the new state-of-the-art theater at Shore Country Day School in Beverly from July 17-20. Cast in the Music Ensemble in "Fame, Jr," Walker is no stranger to the stage. She has performed in numerous productions at Marblehead Theatre and Marblehead Little Theatre, including "Alice in Wonderland," "Oliver," "A Christmas Carol," "Monster in My Closet," "The Big Bad Wolf," "The Pixels" and "Alice in Wonderland." She was also seen last summer in BCT’s production of "Pippin." She is a student at Tower School. "‘Fame, Jr’ is a musical told through the eyes of young actors who have big talents and big dreams," explained BCT Executive Artistic Director, Burgess Clark. "‘Fame, Jr’s’ book and score have ignited a vibrant creative spark within all our students, and I know their excitement and enthusiasm for this production will have a profound effect on our audiences. Under the guidance of veteran director Mary Guaraldi, who recently directed our World Premiere production of ‘The Homework Machine,’ ‘Fame, Jr’ will be a thrilling journey for everyone in the theater." "Fame, Jr" follows a group of talented students as they make their way through four years at the prestigious High School for the Performing Arts in New York City. A bittersweet, and ultimately inspiring story filled with high octane musical and dance numbers, "Fame, Jr" explores the world of the performing arts, and the triumphs and challenges of following one’s dreams. Directed by Guaraldi with choreography by Brian Dillon, "Fame, Jr" was developed by David De Silva, with book by Jose Fernandez, lyrics by Jacques Levy and music by Steve Margoshes. The title song "Fame" was written by Dean Pitchford and Michael Gore. 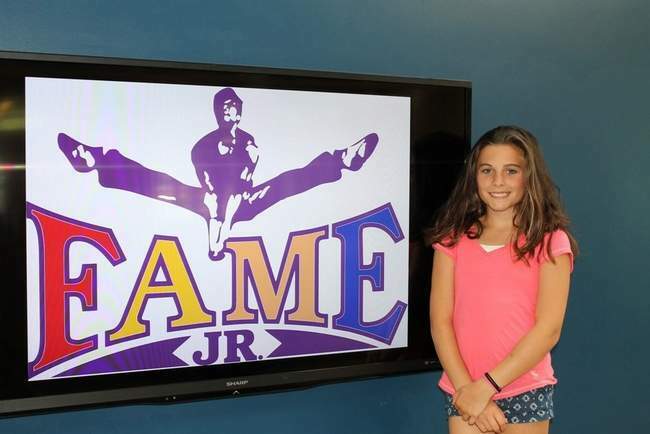 "Fame, Jr" will be performed by two rotating casts at Shore Country Day School, 545 Cabot St. in Beverly. Penny Walker will be performing Friday, July 18 at 7:30 p.m., Saturday, July 19 at 2 p.m. and Sunday, July 20 at 7:30 p.m. For tickets and information, visit bostonchildrenstheatre.org or call 617-424-6634, ext. 222. "Fame, Jr" is presented through special arrangement with Music Theatre International (MTI).